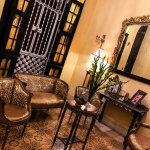 Location is great, only a short walking to the most interest parts of the city and a few minutes away from old Havana. The hotel itself is stunning, very nicely decorated and very clean. The highlight is the staff who are very friendly and very helpful. 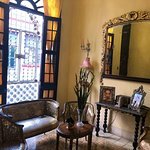 Special thanks to Ernesto who booked us a taxi to the airport and recommend an amazing restaurant close by as well as places to go out in the evening and enjoy the music and art scene of Cuba. This casa is perfect! The rooms are brand new, beautiful and very clean. The hosts are so nice, they even offered us to take a shower before our plane whereas we had already check out, so nice of them. They booked a very nice taxi to drop us at the airport. 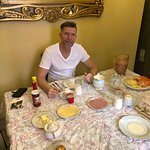 The breakfast is BIG ! And very good. 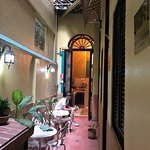 Thanks again for everything, I highly recommend this place, 10 minutes walk to habana Vieja. 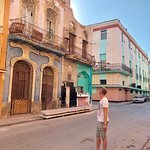 First trip to Havana and thankful prior airbnb reviews were so accurate and helped to meet our expectation. I am surprised no one has yet to leave a review here so let me be the first! The moment we walked in the door we knew we would be well taken care of. The hosts welcomed us with open arms. The space was incredibly clean and fresh from top to bottom. Our room had a very cold air conditioner system which we appreciated. Never were we without strong water pressure, hot water, toilet paper, toilet seat and clean towels. Bed was comfy too! Appreciated having a safe in room with key we kept. Room also had a fridge with 10 bottles of cold water for $1 CUC each. We nearly drank them all! WiFi cards were available for purchase though we did not. Just around the corner was a WiFi spot we could have used with card if we decided to. I highly recommend breakfast which was hearty and fresh for $7 CUC. The hosts even made breakfast sandwiches for us to go on our day trip to Vinales. Oh and the coffee was delicious with breakfast. 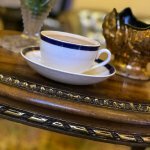 We love evening coffee and the hosts had no issue making it for us on two occasions. We found the location to be superb. Manrique Street and their block felt like a true neighborhood. There were kids playing, neighbors visiting, people walking and doing life. We felt so very safe! Loved being two minutes from The Malecon for early morning and late night walks. You can step out the front door, look to the right and see the ocean. Super easy to navigate up Manrique and over to Old Havana. We walked everywhere we needed to go that wasn’t outside of city. Never once were we made to feel uncomfortable. Study your map before you go which we found helpful. I didn't take photos of the inside of the room because they would have looked exactly like the photos you can see on their booking page. Truly no hidden surprises! The boutique hotel only has three rooms which felt to us like the perfect number to never feel crowded. Other travelers we met had only wonderful words to say about their rooms and stay. We stayed in Room #3 which had a private bath. 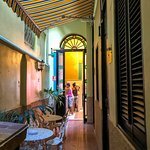 If you've looked at accommodations around Havana you will see that Aimara's is priced above the lower scale options yet still affordable. It is worth every cent above other places in the area, which I am sure are wonderful, but the attention the hosts give is worth every extra penny. We could not have asked for a better experience and will continue to stay during future trips. There was always at least one host on site and most of the time two. I just cannot say enough! Don’t hesitate to book! You won’t be sorry! Room tip: We stayed in Room #3 with a private bath. All three rooms are along same hallway. Room tip: Elegi la habitación con baño propio.